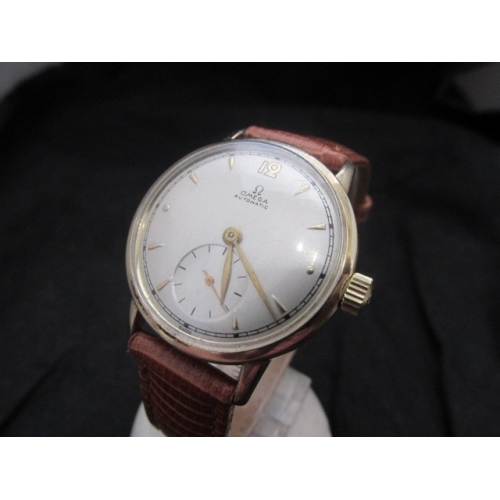 Outstanding condition on this early bumper automatic in gold filled case. 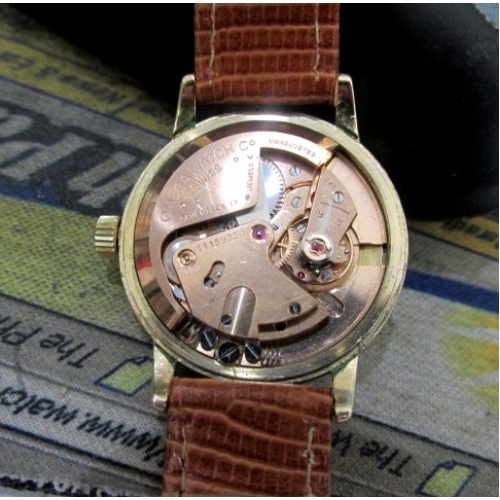 Movement is a Caliber 28.10 with 17 jewels and runs and looks brand new. 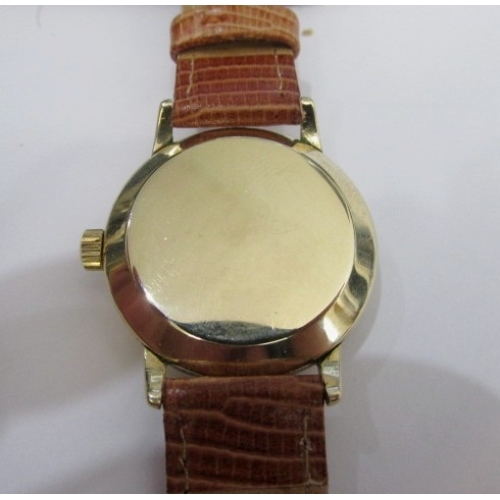 Case measures 32mm x 37.75 mm overall and comes with new Hadley-Roma strap..ready to go! 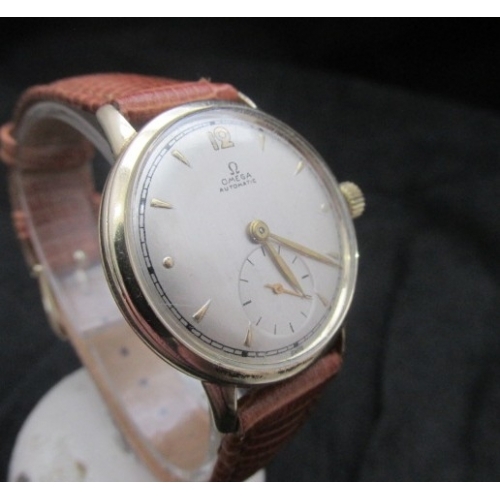 Dial is in mint condition with gold markers and a perfect set of original factory hands. 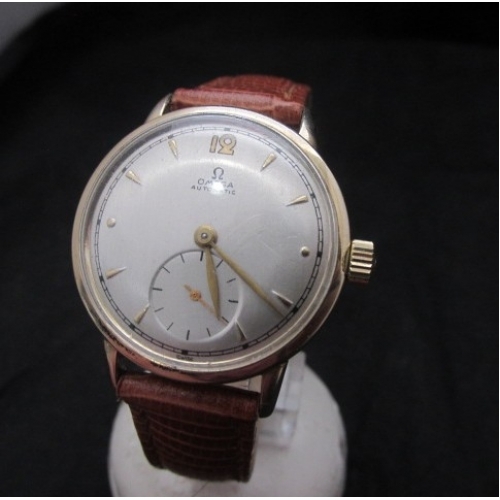 This is a terrific Omega from 1947. This one is in all very high condition ....doesn't get much better than this!